IPM was established in Dublin in 1950 to develop exports of Irish seed and ware potatoes to the Mediterranean region after World War II. 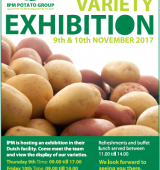 1970’s: IPM began investing in breeding of new potato varieties in association with Oak Park Research Centre in Carlow, Ireland, one of the largest and most advanced potato breeding programmes in Europe. 1990’s: IPM established ‘IPM Perth Ltd’ in Scotland to manage seed production of IPM varieties for the UK market and exports. During this period IPM also became a subsidiary of Donegal Investment Group plc, one of Ireland’s largest food and agri-business companies. 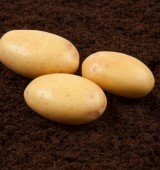 2000’s: IPM established IPM Holland BV in The Netherlands to manage seed production of IPM and free varieties for export. 2010’s: IPM established IPM Brasil to develop high quality seed production of IPM varieties for the Brazilian market and IPM France to manage seed production of IPM varieties for the French market and exports. The company also acquired A. J. Allan Ltd, a high quality seed potato company in Scotland to complement IPM’s production and marketing capabilities. In 2015 the company established IPM Portugal to promote and develop sales of IPM varieties in the Portuguese market.